I absolutely love mashed potatoes. Heck, I love most potatoes, so that isn’t really a surprise. What is a surprise is this mashed cauliflower recipe. I was certainly skeptical that this dish would be good. I mean, cauliflower can tend to be bland and lifeless. However, this dish is anything but that. It is creamy, smooth, and full of garlic and rosemary flavor. Honestly, I wouldn’t even guess it is cauliflower, and I am willing to bet a lot of people wouldn’t be able to tell it was cauliflower either. While I won’t be giving up mashed potatoes any time soon, this dish has far less calories than regular mashed potatoes. It’s also rich in fiber and is delightfully smooth and rich. Also, it re-heats like a champ and the flavors are even better the next day. Oh, and this recipe is beyond easy to make. 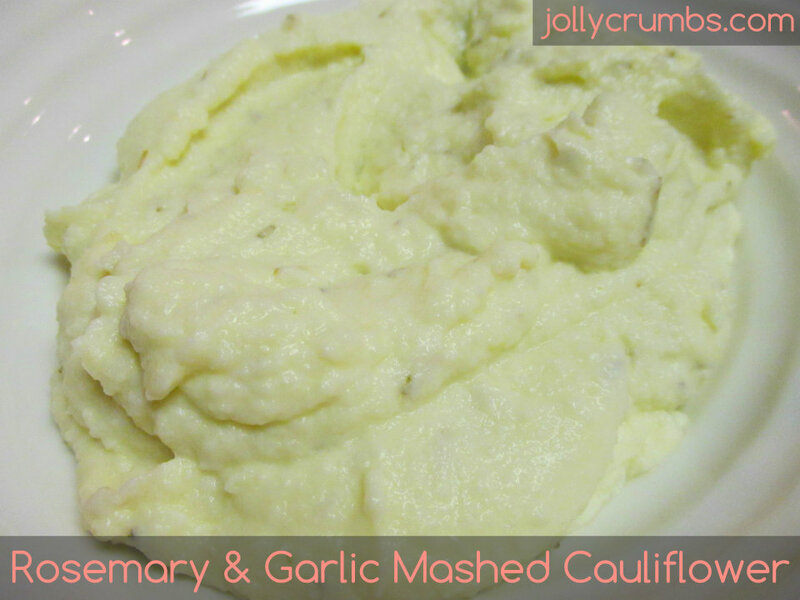 So, if you love mashed potatoes and are either skeptical or a believer in mashed cauliflower, give this a try. It is most certainly a keeper! The first thing to do is bring a pot of water to boil. 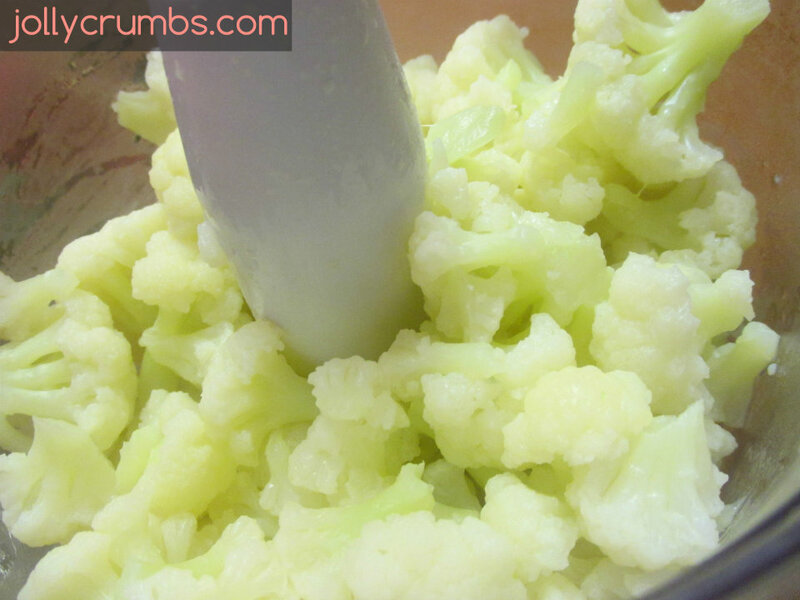 Add in the chopped cauliflower florets, and cook for 8 to 10 minutes or until florets are fork tender. Remove and drain the cauliflower. I used fresh cauliflower, so I can’t attest to how using frozen cauliflower would do in this recipe. 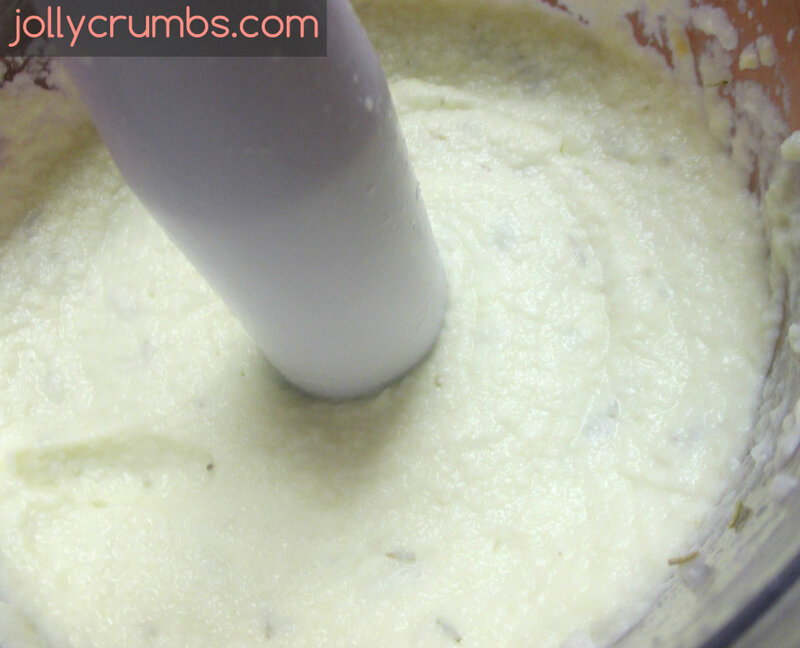 Place cauliflower and other ingredients into a blender or food processor. Pulse until smooth and creamy. Add in salt and pepper to taste. There is so little work involved in making this mashed cauliflower that it’s insane. Not only do you need few ingredients, this dish is really low in calorie and takes even less time to prepare. You can easily have it from counter to table within 20 minutes. I also like that you can jazz up the flavors however you please. If you want some cheese mixed in there, add it in. If you want it spicy feel free to add in some pepper flakes or sauteed peppers. This side dish can be customized however you want, which is perfect for us picky eaters. I promise that the flavors of this mashed cauliflower are wonderful. If you have someone who doesn’t like cauliflower, make them this. I bet they will love it just like mashed potatoes! Bring a pot of water to boil. Add in the cauliflower, and cook for 8 to 10 minutes or until florets are fork tender. Remove and drain.